CHICAGO — “What do you get when you cross a librarian with a hot-rod shop?” In this unusual case that shatters stereotypes of libraries, librarians and literacy, you get a mobile initiative that delivers the library to people who may not know about or who have some obstacle to visiting libraries. Smitty Miller will tell you more about this unique project in ALA Masters session “Library Live and On Tour: Taking the Library to the Street” from 11:45 a.m. - 12:30 p.m. on Monday, Jan. 28. A provincial Libraries and Literacy grant and a directive to create a mobile initiative to promote adult literacy was the beginning of Fraser Valley Regional Library’s (BC, Canada) Library Live and On Tour, the first project of its kind in the library world and a literacy advocacy tool like no other, especially with Miller in the driver’s seat. 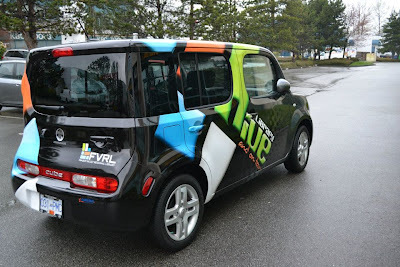 The centerpiece of the initiative is LiLi (short for Library Live), a surprising and eye-catching little vehicle which will be parked in a central spot at Midwinter for attendees to enjoy. Miller and LiLi together deliver library services wherever they go, including registering people for library cards and teaching senior citizens how to use technology. They reach marginalized populations at places bookmobiles don’t or can’t go, such as food banks, transition houses and teen pregnancy centers. Lili’s very un-library-like enhancements include an audio system with external marine speakers, custom sub box, built in XBox 360 Kinect, wireless microphone system, multi-color underglow lighting, mag wheels, AOOGA horn, 2-3G Internet-connected laptops, and 'gadget bar' (3 different eReaders, 2 tablets, Playaway books, Daisy player). Miller secured more than $35,000 of donated labor, time, tires, speakers and equipment, partnering with local businesses to get LiLi on the road. 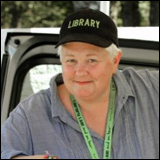 Smitty Miller is community development librarian at Fraser Valley Regional Library (BC, Canada). The ALA Masters Series is a Midwinter Meeting chance to hear and talk to experts from across library specialties as they describe their latest in-house innovations in these fast-paced sessions (to which attendees are encouraged to bring their lunch). The 45-minute sessions offer insights into the hottest trends and how librarians are stepping up to them. ALA Midwinter Meeting registration and housing are open. Important conversations about the transformation and future of libraries will be taking place in Seattle, Jan. 25-29. For attendees who need support in making their case for attending and why they’ll be more valuable to their institutions afterwards, ALA offers resources that include step-by-step guidelines for what information to present, what previous attendees have said about what they took home from ALA conferences and events, a sample budget worksheet, and more. Those resources are available on the Midwinter website.